The serial is 008588 and " produced by Headway" . 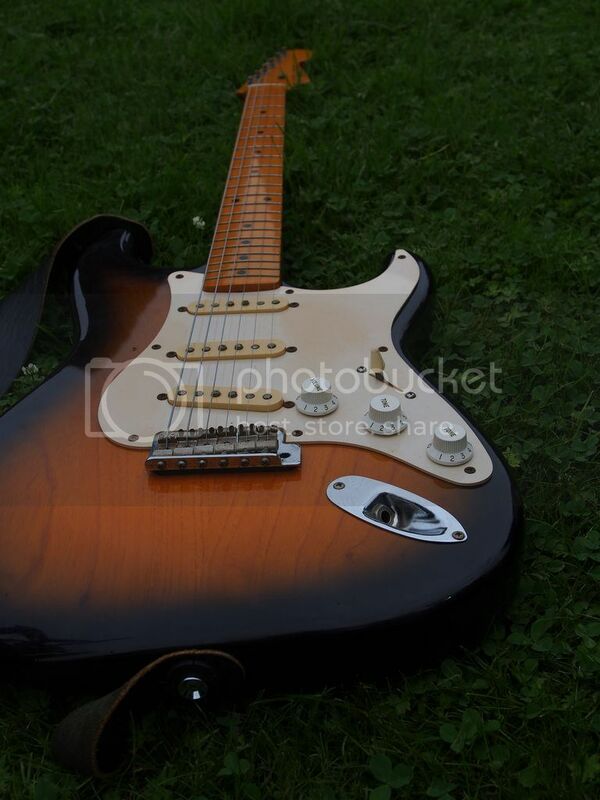 Who knows when this guitar is build and what kind of pickups are on it , they have flat pole pieces? It sounds great. Thank you , sweet and beautiful it is. Don't think I've seen a BST54 before - only a BST57. Does yours have a V neck? It's a big neck ,lots of wood , I think it's a C profile. 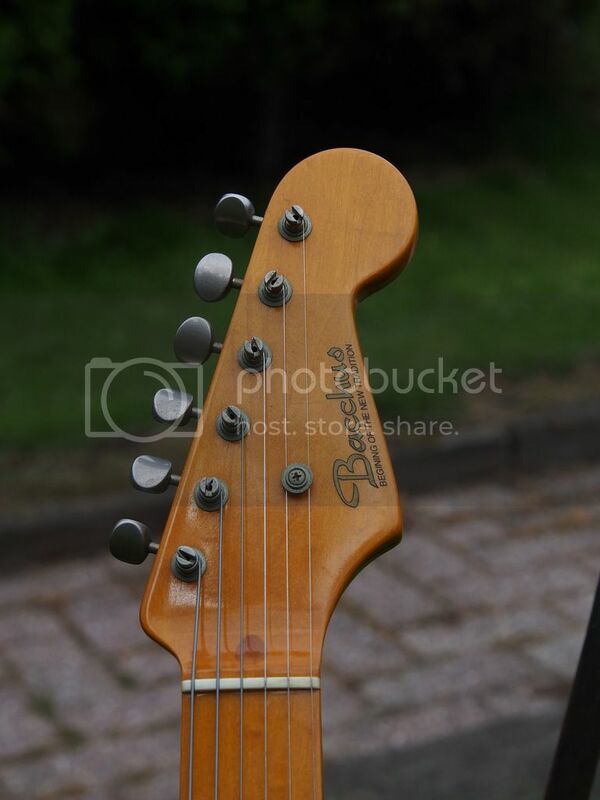 Wow.... beautiful tint on that neck and headstock. Fantastic catch!! Yup, my 64 has a big chunky neck. My Bacchus Les Paul has a huge neck. I guess it's the 57 that has the V - wonder if it's a big one too. Yes , he aged nicely , all the hardware also. Nobody who can tell me more about this guitar? Age , what kind of pickups? They can be hard to date. Pics of the neck and body cavities will help. Same with the underside of the electronics. Love your axe !! Seems the volume and tone knobs are the kind that don't age though. No biggie !! Other kind of plastic ,I think . I have some from a Springy they are more yellow , I put thes on. We looked for the serial number in our data archive, but found no result in it. So I am afraid that we can not provide detailed inforamtion of the guitar. Since our data archive was started in 2001, it was probably made late 90's. I am sorry that I can not be of a good help. Thank you. So he must be 15 to20 years old.